in the marketing office of the property that has various aspects of Smart Home and Community Automation technology intended for the actual apartments that are upcoming within this property. It enables interested customers to experience firsthand, some of the features pertaining to Safety, Security, Energy Savings, Comfort and Convenience that are to be part of the apartments that they are booking. Customers can experience the convenience of being able to operate switches for lights, fans and curtains by remote control or through smartphones or tablets. They can experience how the Smoke, Gas and Intrusion sensors would work to make their apartment a safer and more secure place for their families. They can value the ability to monitor their front door using the video door phone and to monitor the interiors of their apartment by a private camera, even when away from home. These and a number of other features are brought to life for the customer via the BuildTrack Automation Experience Center. Prisha Properties with offices in Bengaluru and Hyderabad is a young dynamic company with a portfolio of projects such as Bhuvana Greens, Orchids, Hanging Gardens and Golden Valley. 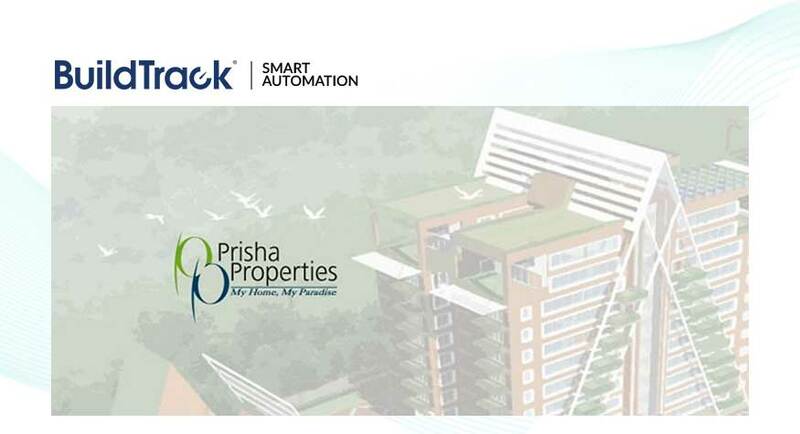 Prisha Properties has chosen Surmount Energy as a partner for their automation needs on the Hanging Gardens project at Koramangala, Bengaluru. Surmount will be providing its BuildTrack™ Smart suite of Home and Community Automation Solution to enhance the Safety, Security, home automation system, Comfort and Convenience within this property. Mr. Bhanumurthy, Senior Sales & Marketing official at Prisha Properties says “We are delighted to offer the latest in Smart Home Automation Technology in our Hanging Gardens project to enhance the Safety, Security, home automation system, Comfort and Convenience that come with our homes. Customers can experience this delight first hand at the Automation Experience Center opened in the Marketing office of our very premium offering: the Hanging Gardens Project. We have partnered with Surmount Energy, to use their BuildTrack brand of products and to provide benefits to our customers from the cutting edge technologies in Home and Community Automation.